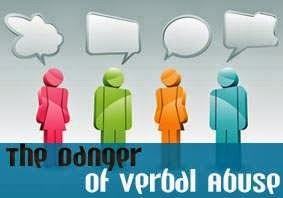 Verbal abuse is a pattern of behavior which interferes with positive emotional development, and over time can lead to significant loss of self-esteem, emotional well-being and physical state. It is also described as an ongoing emotional environment designed by the abuser for purposes of control. If you are expericing the types of behavior listed below, please know that you are not alone, and help may be just a phone call away. Abuser calls you a liar, hypocrite, ugly, fat, etc. Abuser says that something did not occur and it definitely did. Many people have no idea that verbal abuse is considered a form of domestic violence designed to oppress the victim. If you are being subjected to this type of behavior, get in the mirror every day and keep telling yourself that it's not your fault. No one deserves to be abused. You are special. You deserve to be appreciated and loved.